Itchy scalp is a quite common condition and there are lots of people who suffer from constant and intolerable scalp itching. Undoubtedly, it is very annoying and can interfere with your normal daily activities and social life. Scalp itch can be caused by a variety of underlying conditions, including dry skin, fungal infection, hypothyroidism, psoriasis, lupus, eczema, contact dermatitis, sunburn, and folliculitis or inflammation of the hair follicle. Mental stress and anxiety can also contribute to itching of the scalp. However, the most common reason for itchy scalp is nothing but dandruff or seborrheic dermatitis. Scalp itchiness is not a serious or life-threatening medical situation, but it can cause loss of hair and difficulty sleeping. Moreover, severe scratching can result in lesions and sores, which in turn may lead to bacterial infection. Fortunately, this is not an untreatable problem. 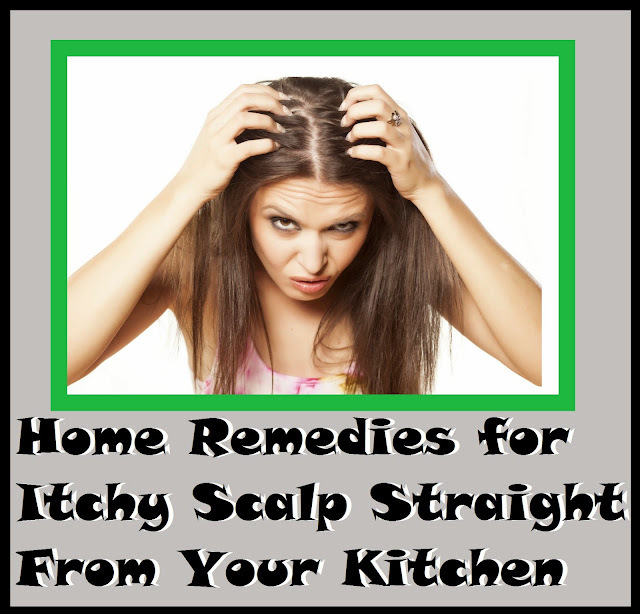 Several prescription and over-the-counter medications are available to reduce scalp itching and irritation. Moreover, there are multiple home remedies for itchy scalp, which are safe, simple, and very effective. In order to cure this condition, the first thing that you need to do is to find out the cause of your scalp itching and treat it effectively. Make sure that your hair is clean and is free of dandruff, lice, and dirt. An itchy scalp can also be due to an allergic reaction to a shampoo or any other hair care product. Sometimes, changing your shampoo or conditioner may help you deal with your scalp itching. It is better to stay away from hair care products like hair spray, dye, and gel, as the chemical in these products can make your head and scalp dry. Also, reduce the exposure of your hair to the sun. If you have head lice and nits, try to treat this condition immediately. Eating a diet that includes vitamins A, B, C, and E is one of the best home remedies for itchy scalp. These vitamins are essential for a healthy scalp and can help avoid dry skin. Foods like flaxseeds, eggs, whole grains, lean meats, avocado, nuts, and green vegetables are good home remedies for itchy scalp. Mix baking soda with water and massage your scalp with this mixture. Use only water to clean your hair after applying baking soda. Applying aloe vera gel to the scalp before going to bed can also be helpful. A best way to get rid of dandruff and itchy scalp is to rub pure apple cider vinegar onto your scalp and leave it there for half an hour to an hour. After that, wash and rinse your hair as usual. Repeat this once or twice a week.